Jobelle Delon won a \2,500 discount ticket to Jason Arbocast Photography. She’s from Olympia, Washington, and has lived on Okinawa two years. She says that her life here has been amazing. “Okinawa is like a vacation place for me. Every time we go out, it’s a different experience,” she says. She says that on her free time she hangs out with friends, and loves to check out different beaches. She also likes to dance, sing, act and make cakes. 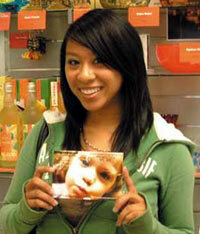 Zenaida Castro is originally from the Philippines, but she now calls California home. 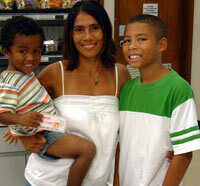 She has been on Okinawa five years with his daughter, her husband and three grand children. She says she enjoys everything Okinawa has to offer, and thanks the Air Force that has allowed her and her family the opportunity to enjoy the island. 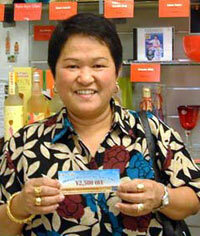 She is this week’s winner of the \2,500 discount coupon to Kupu Kupu Spa.